The Eurasian Economic Union (EAEU) comprises Armenia, Belarus, Kazakhstan, Kyrgyzstan, and Russia. 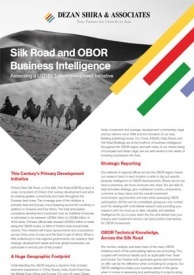 It is becoming increasingly important as a free trade bloc as it geographically sits between China and the European Union, and is consequently a major player in the Belt and Road Initiative. Members of the EAEU enjoy tax free status in trade in goods, and are in the process of unifying their complete tax codes, making it easier to transfer goods between them. 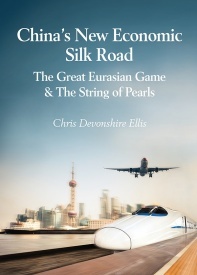 This has special relevance along the Belt and Road and the transportation of goods travelling west from China and vice versa. It is also seen to boost intra-EAEU trade, with this increasing by 38 percent last year. Collectively, EAEU trade is currently worth some US$2.2 trillion. The Eurasian Economic Union is also heavily involved in a program that will see it have its own, additional free trade agreements (FTAs) with other countries. To date, this includes Vietnam, which has seen investment from the EAEU rise to US$10 billion from zero in the past 24 months and China, which has signed off a non-preferential FTA but is poised to add product specifics to this. Iran has also signed off a FTA with the EAEU while India and other countries, including Singapore and Indonesia are currently negotiating FTAs with the bloc. A summary of how this impacts Asia, Africa, and Europe can be read here. Double tax avoidance (DTA) treaties are essential tools for foreign investors and traders as they both mitigate against the possibly of being taxed twice in two countries for the provision of the same service, and also typically contain concessions in the form of reduced levels of VAT and other taxes, often by 50 percent. In short, applying for Double Tax Avoidance status when planning to trade with another nation can save you money and add significantly to your bottom line. Businesses from countries that have a DTA treaty with the EAEU and wish to trade with EAEU member-states may be able to apply for tax exemptions and reductions under the terms of the specific agreement. 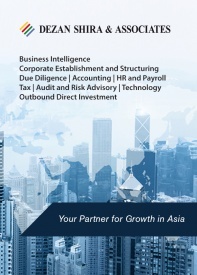 DTAs apply to businesses that are resident in one or more of the countries shown. This means, for example, that a foreign-owned business based in China and paying taxes there can apply for DTA status using the China end of a particular treaty. Firstly, the agreement needs to be thoroughly read and examined to see what parts of it apply to your bilateral trade or business in the pertinent EAEU nation. If the foreign investor has invested in a specific country, any pertinent tax reductions need to be discussed with the relevant tax authority, which is typically either customs or the regional tax bureau. They need to be aware of the status before you can claim benefits. This means it is a good idea to do this as part of any new application procedure to establish a company or trade within the EAEU. For EAEU investors looking overseas, such as a Kazakhstan business looking to trade or invest in the United Kingdom, the same situation applies, discussions and a application to apply for tax relief under the terms of the relevant DTA need to be made with the pertinent tax bureau. 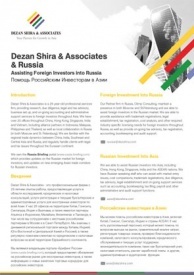 For assistance with understanding Double Tax Avoidance Treaties operated by members of the Eurasian Economic Union, applying for business licenses, and dealing with tax bureau applications, please contact us at silkroad@dezshira.com for further assistance. 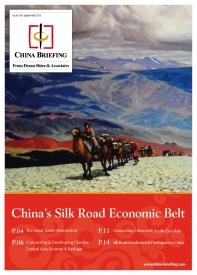 « Is Xi under Domestic Pressure as Belt and Road Initiative Criticism Intensifies?